This is the fourth and final story in Season 26. 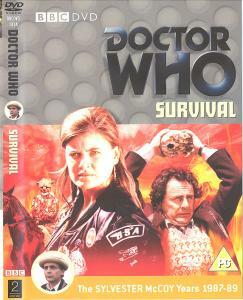 It is the last story broadcast before the Classic Series was cancelled. The Master is a Time Lord and an enemy and rival of the Doctor. He was first seen in Terror of the Autons, where he allied with the Nestene Consciousness to attempt to conquer Earth. He was stopped by the Doctor and UNIT. He has since come into conflict with the Doctor on many occasions. In The Keeper of Traken he had been reduced to a deathly husk and then possessed the body of Tremas of Traken. In Logopolis he unleashed a wave of entropy that destroyed a large portion of the universe, including Traken. His actions were also responsible for one of the Doctor's regenerations.